A month after Tom Emmatty’s Oru Mexican Aparatha saluted Communism with a tale of the violent rivalry between student political organisations in Kerala, Sidhartha Siva’s Sakhavu (Comrade) comes to theatres to tell us what makes a true comrade. This one stars Nivin Pauly in a double role – as Krishna Kumar a.k.a. Kichchu, whose membership of the student outfit SFK is solely driven by his ambitions for himself; and as the younger version of a veteran Communist leader called Krishnan, willing to give up his life for workers’ rights. If you are not disposed to watch films opposed to your views, be warned: Sakhavu’s heart beats for Communism and it does not pretend otherwise. What works in its favour is that it does not allow its affection for Kerala’s old-time Marxists to turn into propaganda and falsehoods. It helps too that Pauly gets truckloads of screen time from start to finish. 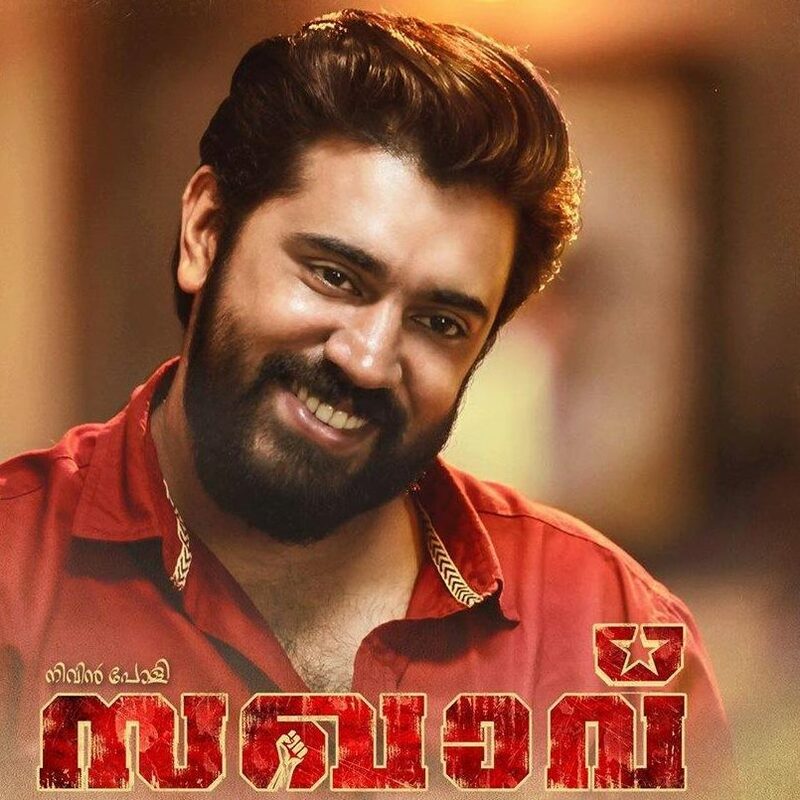 The leading man’s charm dominates the first half of Sakhavu, which is devoted to Krishna Kumar’s shamelessly selfish plans that he has no qualms sharing with his friend and associate Mahesh played by Althaf. The interactions between these two are a hoot, not the least because there is no exaggeration here: their comedy mocks our bizarre and troubling reality, we have all been stung by hypocrites in politics who pretend to serve the people while serving themselves instead. Siva’s smooth writing of these passages is bolstered by Pauly and Althaf’s spanking on-screen chemistry and comic timing. Althaf in particular is ROFLMAO-worthy (yes, that is a word) each time he opens his mouth to speak. Sadly though, he virtually disappears in the second half, which goes back in time to the younger Krishnan’s battles on behalf of workers. This part is often thoughtful and thought-provoking, yet loses its way for various reasons. First, it stretches itself especially with the needless insertion of full-length songs in a narrative that could have done without them (the problem is not with Prashant Pillai’s numbers but that they have been used in their entirety). Besides, the tone and politics of the second half contrast too sharply with the preceding portion. Krishna Kumar’s story works because it takes a critical view of politics per se and Communist politicians in particular. Krishnan’s saga, however, is uncritical and one-dimensional, inhabiting a world divided simplistically between good workers and horrible bosses. The former are all unequivocally saintly folk whose actions must never be questioned, the latter are tarred with one stroke of the writers’ brush as exploitative, evil and cruel. These are issues particularly worth raising in a film that wears its conscience on its sleeve. Still, there is no question that Sakhavu is well intentioned and serves its purpose with the mirror it holds up to politicians and young political aspirants, showing us in Sakhavu Krishnan and Krishna Kumar the contrast between the rare idealist and the insincere wannabe. Pauly is surrounded in this film by a strong supporting cast, including many familiar faces in tiny roles. Aishwarya Rajesh reminds us of her innate charisma in her performance as Sakhavu Krishnan’s wife Sakhavu Janaki, although she is poorly served by the make-up team in her senior avatar. The old Janaki’s youthful skin is a surprising let-down in a film where another young actor has been rendered almost unrecognisable by intelligent ageing make-up. It is tempting to look past the follies of Sakhavu because so much of what it says resonates in the troubling, divisive times we live in, far beyond a discussion about the loss of Communist ideals. I watched the film in a packed west Delhi hall where the cheering audience’s love for Pauly seemed to rival their love for comrade-ery. They clapped loudly and repeatedly through Sakhavu Krishnan’s dialoguebaazi. To be honest, I too was tempted to let out a whoop of delight when Krishnan refused to reveal his surname to a wealthy landowner, saying that instead of being known by his caste and religion, he wished to be known by what his chosen first name – “Sakhavu” – indicated about him. Sakhavu does not have the natural ease of Sidhartha Siva’s National Award-winning Ain from 2014 nor is it as thoroughly consistent as his sweet little Kochavva Paulo Ayyappa Coelho from last year, but it has its merits. Siva seems to have his heart in the right place, and he does, after all, make the point he sets out to make here, aided by one of the most interesting male stars of the present generation.